Brian won the Weaver Adams with a perfect 4.0 score in for tough and interesting games, including the finale with the wily Harold Dondis. Brian's prize is entry to the Reubens Landey U2200 Championship, which begins on Monday, July 2. The 2012 Reubens Landey begins Monday, July 2. It is the second component of the club championship cycle. The winner becomes the BCC U2200 champion and moves into the club championship to compete against club masters. This is a very special tournament - it is traditionally a very competitive, prestigious, yet friendly tournament. Only club members can enter, but if you aren't a member, this is the perfect excuse to join or renew. Please consider playing - starting Monday, July 2. If you are traveling for the holiday, you may request a 1/2 point, 1st round bye. Winner receives free entry into the BCF Championship beginning in Sept.
Below is some context for this tournament: two biographical articles by Bernardo Iglesias and a listing of past winners. "....Chess appeals to our emotions and brings us joys and sorrows." Emil Reubens was born in a beautiful land very far away, in Yelisavetpol (Kirovabad) Russia, in 1886, on September 23 and, died in Massachusetts in Norwood Hospital in 1973, on August 29 after a brief illness. 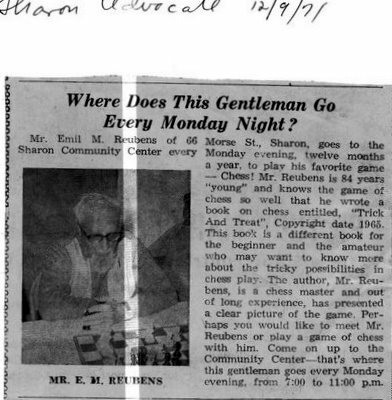 Emil Reubens was 86 years old when he died, an extraordinary man who believed that mankind could become rehabilitated through Chess. Chess is more than life and can change a person to benefit Society. 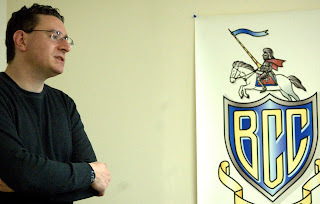 He was a chess master emeritus and one of the founding member of the United States Chess Federation, a member of the Boylston Chess Club, the Brockton Chess Club and his dear Sharon Chess Club. Reubens received his formal education at the University of Prague. In 1906 he immigrated to the United States and worked for a time in steel mills in Detroit. Eventually he moved to Boston and graduated from Boston University in 1922 with a degree in business administration. Much later, in June of 1973 he received his Master's degree in business administration, he was the oldest person in the university's history to obtain such a degree at 86. He lived in Sharon, Mass. for many years. Emil Reubens was a U.S.C.F. life director and authored a wonderful book on chess play, entitled Chess - Trick and Treat in 1965. This book is a treasure, a precious jewel for any novice player. At the end of the book he recommends that every young player should “Join a chess club. Meet chess players of differing skill and style. Subscribe to a periodical that will keep you abreast of the important events in Chess world." In 1964, he helped to bring the U.S. Open to Boston. He was an honorary Chairman of the Committee, along with a lot of the great chess organizers of the time: Robert Goodspeed (Brockton C.C), Harold Dondis (Johnson C.C. ), Eleanor Goodspeed, Eleanor Terry, Frank Ferdinand (Harvard C.C. ), James Burgess (Boylston C.C. ),Harry Goober (Clarendon C.C. ), Beverly Jarnigan and Joseph Hurvitz (Boylston C.C.). That year, the U.S.C.F. was celebrating the silver anniversary of its foundation, in which Emil Reubens had been a strong force in promoting chess in this country. Emil had a long time interest in prison reform and was instrumental in assisting many prisoners get back into society. In his book, mentioned above, he thought that “When I was drafted into becoming a "leader" in youth clubs, I employed chess and chocolate bars to lead the youth into the paths of righteousness. There are no available data to estimate the effect of chess on juvenile delinquency, nor are there statistics to gauge the collateral effects of chocolate bars freely rewarded for chess merits." Reubens combined a lifelong interest in better prisons, rehabilitation and parole systems with chess activities. He organized many teams of players who visited several penal institutions to play against teams of inmates, or just to play simultaneous exhibitions against the inmates. On one occasion, he took Steve Frymer, John Curdo, and R. Gleason to Norfolk Prison, delighting one inmate in particular so much that he became an active player and organizer in Norfolk area. Emil Reubens loved the youth, kids of all ages, -- they are our future joys and sorrows in life. The second Brockton Open, on September 25 & 26, 1971 in Brockton, Mass. William Lombardy, former World Junior Champion, had agreed to participate in the selection and awarding of a special Lombardy - Reubens “best played game” trophy to some player under the age of 21 (Harry Lyman was present in this ceremony). The winner of the award trophy was won by the young John Peters. The third Brockton Open, on September 23 & 24,1972, the Lombardy-Reubens award trophy was won by John Stopa. For the Boylston C.C. 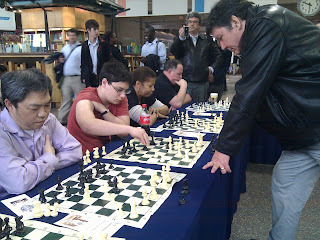 member’s information, at this event Alex Slive and Andrew Anisimov, two new youngsters showed up in the chess arena. After this event, it seems that such award stopped being awarded by the Brockton Chess Club, since he became sick and died shortly. The "MASS STATE JUNIOR CHESS CHALLENGE TROPHY PRESENTED BY EMIL M. REUBENS " is a silver trophy cup at the Boylston Chess Club to preserve his memory for future generations. In 1988, William Lukowiak, treasurer of the Boylston Chess Club and long time an officer on the board of MACA, introduced a motion to the Executive Board of MACA that the winner’s name of the Junior Scholastic Champion from Massachusetts be inscribed in this trophy and that MACA will help to pay for traveling expenses to the National Championship whenever it was to be held. The MACA board turned down this motion, and denied youngsters of this State such an honor. After his death, the Mass State Chess Association, organized a one time "the Emil Reubens Memorial" at the Massachusetts Open at the new Brockton High School in 1974. The winner of this event was John Peters. Emil founded the Steinberg-Reubens Educational Foundation. The Boylston Chess Club Board of Directors decided that in 1986 to pay tribute to Emil Reubens and Ben Landey by naming a qualifier cycle of the B.C.C. championship qualifier in their honor, for players rated 1800 to 2199. The winners of the Reubens/Landy move on to play against the club’s masters for the club championship. Benjamin Landey was born in 1912 and died on January 20, 1981 in Quincy. From his high school days he worked for the Sharon Bolt and Screw Company founded by Emil Reubens, reaching the position of board chairman, which he held at his death. According to Harry Lyman, Benjamin married Reubens’ daughter. 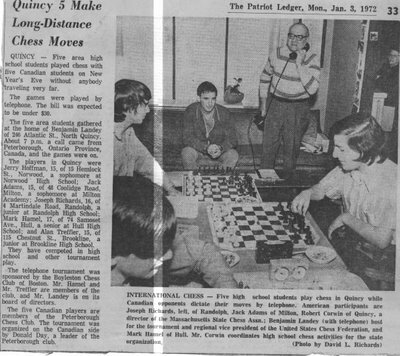 For many years, he was the ceremonial chess leader of New England: Landey was President of the MSCA, the Boylston Chess Club, the Boston Metropolitan Chess League, the New England Chess Association, and the USCF Regional Vice-President. He was a truly regional chess entrepreneur, a notable chess organizer, a man of remarkable poise and intelligence, a master of parliamentary procedure and a skillful politician, that is, a leader among leaders in the region. He worked for long hours at his job and then spend evenings and weekends on numerous chess projects and clubs. While Ben Landey was a tournament director for M.S.C.A., he brought to Boston the U.S. Open in 1970 and the U.S. Junior Open in 1965 and 1969, held at Northeastern University. Ben Landey's most active years were from 1965 to 1970; after this year his health impeded more time in his passion for the royal game of chess. Despite his failing health, he was an extremely successful teacher of chess for beginners, though he himself was rated only about 1500 during most of his over the board career; he also, worked with the Massachusetts Association for Retarded Citizens and several local groups. Along with Emil Reubens, Landey was a major sponsor of prison chess programs, and the two of them sought the parole of a number of inmates who were avid chess players. In addition to being a regular tournament player, Ben Landey was very active in postal chess with the Nights of the Square Table (NOST). Landey was the first person to compete with a computer in chess at a U.S. Chess Federation rated tournament. He lost. Ben was treasurer of the Greater Boston Committee of the U.S. Peace Council, past President of the South Shore Assn. for Retarded Citizens. He was the President of the Boylston Chess Club at the time of his death. After his death in 1981, M.A.C.A. organized a memorial tournament at the Mass. Open in April; the winner of this tournament was the young James Rizzitano in North Darmouth. 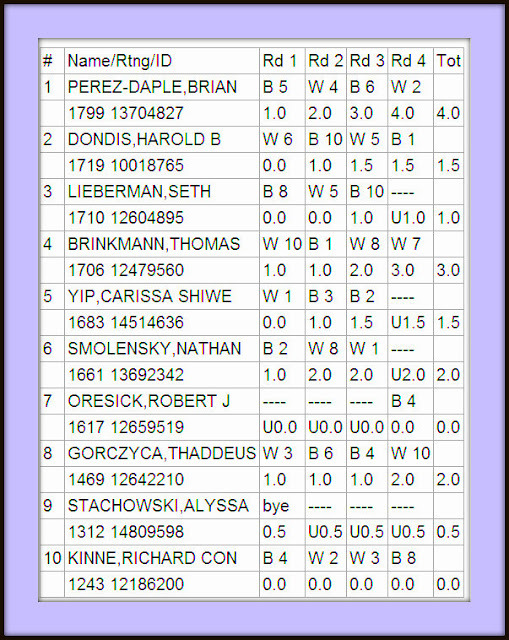 The Boylston Chess Club has honored Ben Landey since 1986, when the Board of Directors dedicated a qualifier tournament to those members of the club rated 1800 to 2199 plus the winners of the Weaver Adam's; the winner to participate in the fall championship. His memory will endure for ever at the Boylston Chess Club along with that of Emil Reubens. The next Grand Prix cycle begins July 9th! See you there! As one of the oldest chess clubs in the country, the Boylston Chess Foundation has a rich tradition. But even with this history, the BCF is only as strong as its membership. There are many people who care about the club and want to see it succeed, and that is why we have become a thriving chess community. On July 15 we will hold our Second Annual BCF Summer Picnic at Danehy Park in Cambridge. Last year's event was a lot of fun, and we are hoping this year will be even better! Throughout the month we will be featuring member games here on our official blog. Stay tuned for further details on this fun program. On July 21 and 22, we will host the club's first-ever Fide tournament. The details are below. Please join us in these fun events and let's celebrate the club together in July! Live commentary will be provided by Grandmaster and three-time U.S. champion Larry Christiansen, Senior Master Charles Riordan and National Master Carey Theil. I thought it might be fun to promote chess. Park Street tries to start chess scene. There are tables and one set which is donated for anyone to play + bring your own sets. 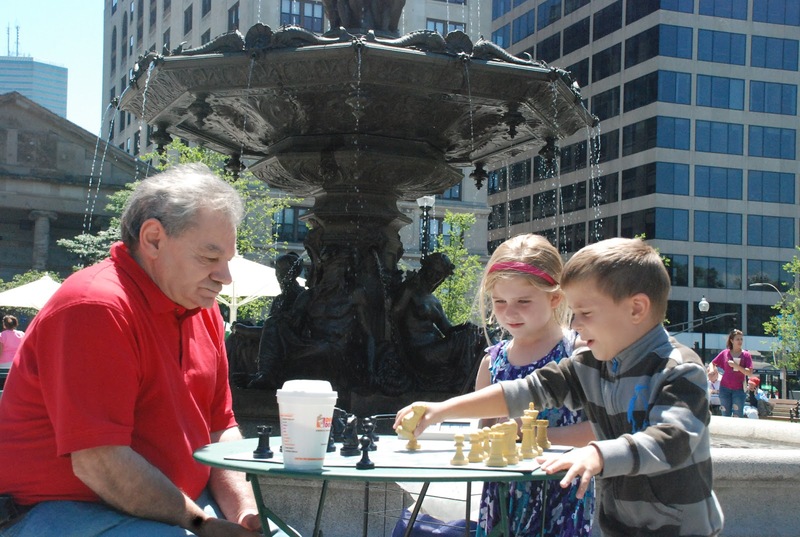 I thought maybe some seasoned chess players might start showing up at the Park St site to play and spread the news about chess (and the BCC) in Massachusetts and the world. I thought you might publish these photos on Boylston Blog. 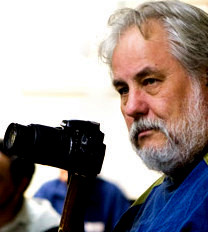 George Caponigro works with kids and homeless people. He's in the red shirt. And the Harvard Square Master chair is filled by "Andre" from Leningrad/St.Petersburg USSR/Russia. Here are my digital photos of George Capinegro and Andrew Froim (master of Harvard Square) . . . 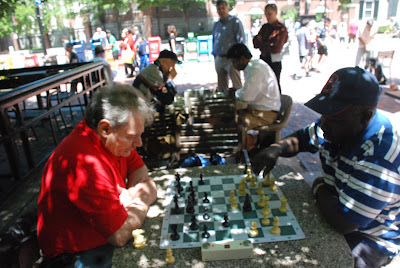 I get so many families passing through the chess scene at Harvard Square, I thought if you posted the photos and alerted the world that there is chess activity both at Park Street and at Au Bon Pain Harvard Square Cambridge, I am sure that the Boylston Chess Club will benefit. 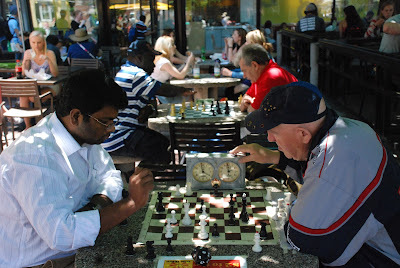 So many people ask about chess so I can easily give them the Boylston Blog internet address to get them introduced to chess in the Boston/Cambridge/Somerville area. Monday is the final round. 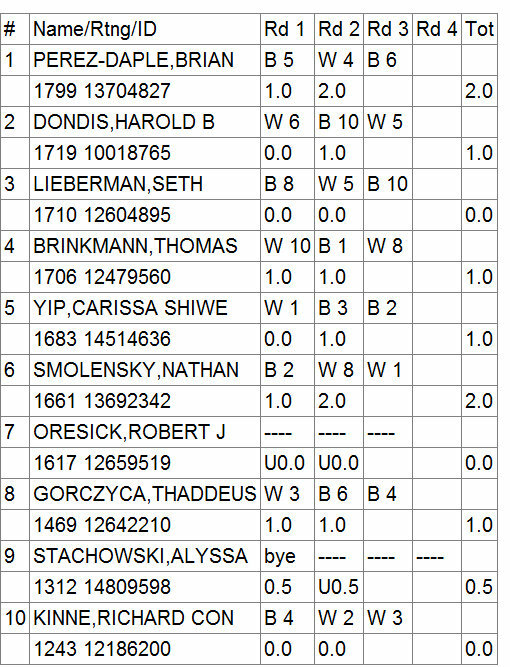 Brian with 3 points in hand will proceed to the Reubens Landey even if he falls to Harold, because if Nathan or Thomas were to get to 3, both would be co- U1800 Champions. "It was like I went to South Station... and got run over by a train." The players arrived in full force. Among the 25 packed seats were some strong competitors, including Boylston players from past and present. 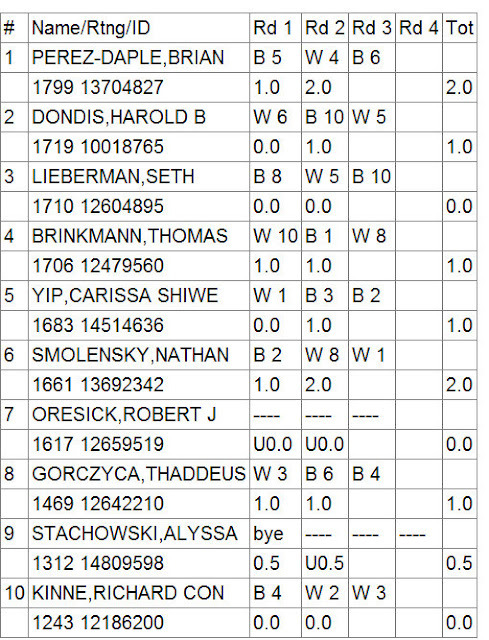 But in over 40 games played, only one player, expert and local high school chess coach Mike Fitch, managed to defeat the GM. This is three-time U.S. Champion Larry Christiansen, after all. In case you missed your chance yesterday, but still want to try your hand against the legend, join us next month, on July 10th (the second Tuesday of the month, as usual), from 5:00 to 7:00 at South Station. Thanks again to Biederman Redevelopment Ventures for their work on putting more in the public square in Boston. These have been great events, and we look forward to more in the coming months. 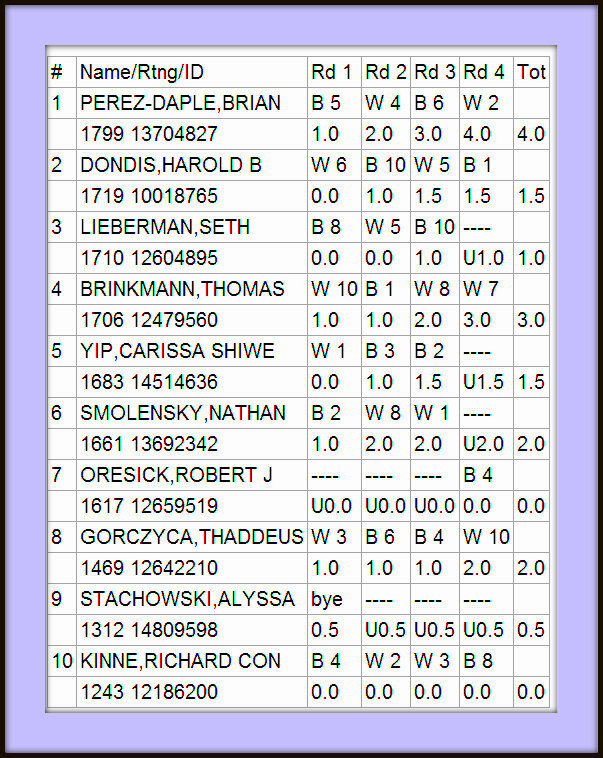 Carissa is one of the top under 8 years olds in the USCF national list. .
Brian was pleased to narrowly avoid a draw with Tom. Entry fee: $10 for BCC Members, $15 for non-Members. Prizes: Trophies for 1st – 2nd in each age group. Medals for 3rd – 4th in each age group. And the very popular chess pencils to all! Requirements: USCF Membership Required. All USCF Rules will be in effect: time controls; touch move, score keeping, good sportsmanship, etc. Grand Prix: Points in Grand Prix tournaments will accumulate towards winning prizes in each age group at the end of the summer (August). 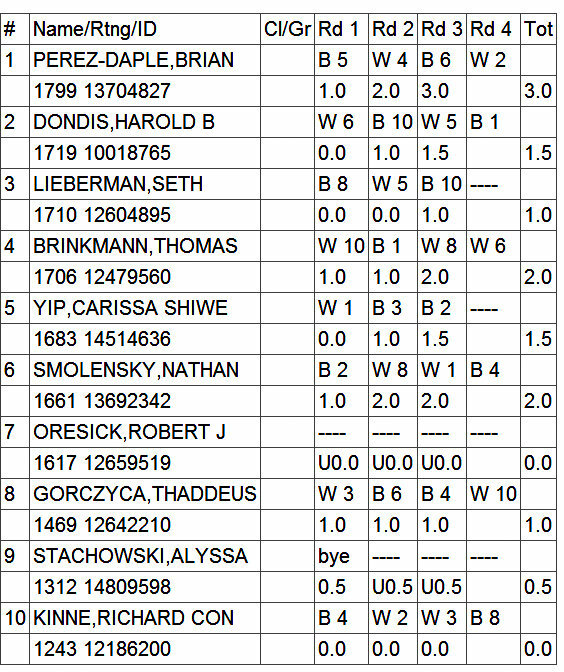 The next simul with Thrice-U.S. Champion GM Larry Christiansen is fast approaching! As always, this is an excellent opportunity to try your hand against one of the great American players of the modern era, whom you can play your best against and still lose to in time to catch the start of the NBA Finals! The exhibition will start at 5:00 P.M. Tuesday evening at South Station, and will go until 7:00. Players can stop by and start a game (space permitting) until 6:30. Parking: Park at Lot off Sherman St. When I was a boy in a small town in western PA with no chess scene, I taught my younger brother the game, but he didn’t like playing. I had to wrestle him into submission to get him to play a game. Many years later I found the Boylston Chess Club, then in Copley Square, a place filled with people, young and old, novices, experienced competitors, and masters, all of whom loved to play chess. You don’t have to wrestle your little brother into submission - just come to the Boylston. 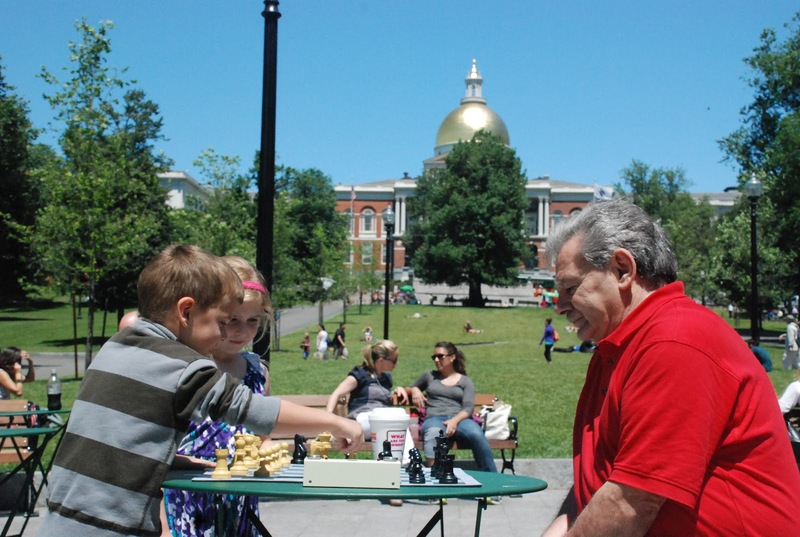 Play some games or join the vibrant, historic home of chess in the Boston area. · Free chess lessons for young people by BCF Champion FM Chris Chase, a experienced and gifted teacher. · Chess camps for young players by the renowned chess teacher FM Jacob Rasin, free for new members. · Free entry to great lectures that are held throughout the year and given by strong players. We are committed to making sure your membership has even greater value in the future. 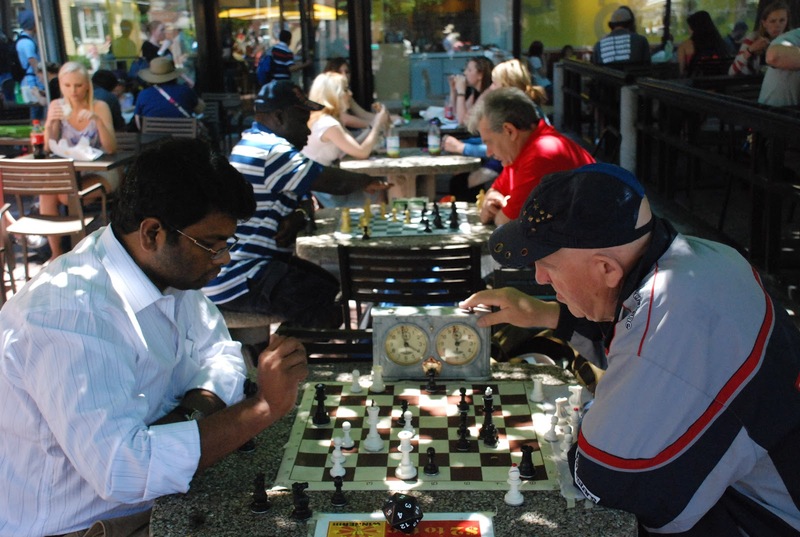 That is why we are hosting the 2nd Annual Boylston Chess Club Picnic (see flyer on reverse,), as part of Membership Appreciation Month in July, which will include a BCF Master Challenge and a game contest - BCF president NM Charles Riordan will select and annotate the best member games. As a member you help us continue the proud tradition of our century old chess club. That is why we are writing today to ask that you extend your BCF membership, or if your membership has lapsed, to please consider renewing. Our adult membership rates are still only $125 per year, or $70 for six months. Senior (65+) and Junior (under 18) membership rates are $100 per year, or $56 for six months. Finally, Family Membership (parents and children in a single household) rates are $125 per year, or $70 for six months. Renewing or extending your membership is easy. Just mail back the attached membership form with a check, or renew on line at www.boylstonchessclub.org. 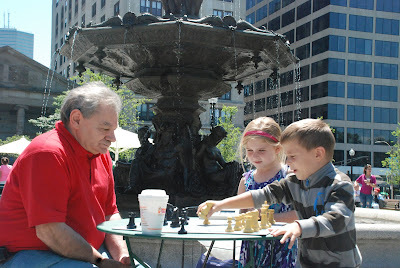 Thanks for supporting the Boylston Chess Foundation. We look forward to seeing you at the picnic! Dave Vigorito's new book on the Dragon was favorably reviewed by Carsten Hansen on the ChessCafe site. Dave is a master writer and former president of the Boylston. The idea behind this series is that the author only focuses on lines that are crucial, topical, or where there are important and significant developments at hand. Here, international master David Vigorito shows himself capable of handling even very complex topics and exceedingly sharp openings. As mentioned on the back cover, the Sicilian Dragon is one of the most eagerly discussed chess openings. Yet, as noted by Vigorito, it is a very narrow opening with a relatively limited number of critical variations. Nevertheless, within those few lines, there are a plethora of possibilities that need to memorized in detail, because one misstep can have fatal consequences for the side who goes wrong. In all honesty, most Dragon players feel they must know everything about this fascinating opening, which is, of course, misguided. As you can see, all of the lines include castling to opposite sides, because the classical lines are largely considered harmless for Black or have not changed in their theoretical evaluation over the past few years. When comparing the analysis presented in this volume with my own notes and analysis done over the years, I found the material to be of first-rate quality and full of intriguing new ideas. It is jam-packed with original analysis, improvements, or alternatives to the analysis done by others. These others frequently being top players, international masters, or grandmasters. This makes this volume of great interest to Dragon aficionados, but less relevant for weaker players, simply because the material is far too complicated for average players. I enjoyed the material in this book; the journey it will take the reader on is both full of wonder and instruction.